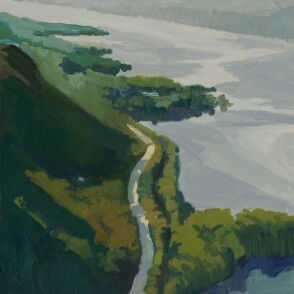 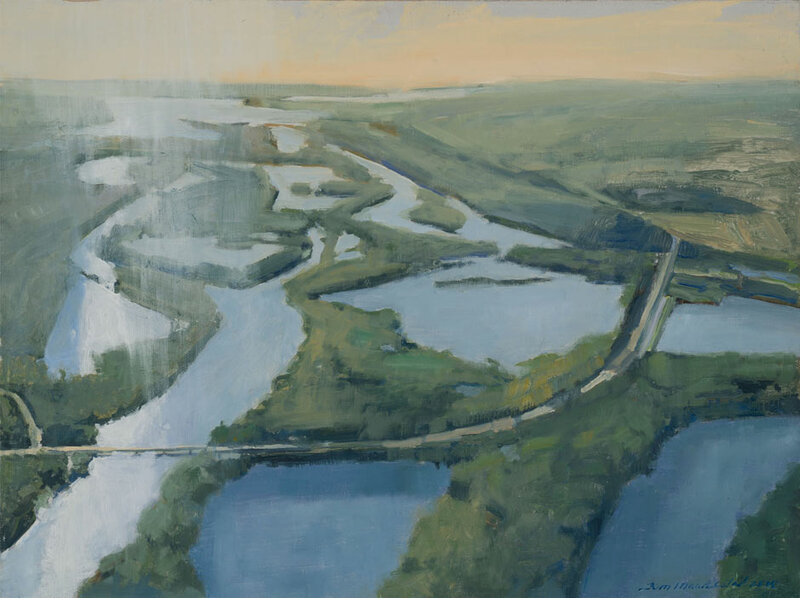 Tom Maakestad "River Road (Large)"
image: 30 x 22" | frame: 38 x 30"
image: 16 x 16" | frame: 18 x 18"
image: 20 x 32" | frame: 21.5 x 33.5"
Tom Maakestad "Rice Lake-St. Croix River 2"
image: 20 x 16" | frame: 21.5 x 17.5"
Tom Maakestad "Rice Lake-St. Croix River 1"
image: 28 x 22" | frame: 29.5 x 23.5"
Tom Maakestad "Red Wing-River View"
image: 24 x 30" | frame: 25.5 x 31.5"
Tom Maakestad "South Bluffs-Red Wing"
Tom Maakestad "High Bridge in Spring"
image: 14 x 20" | frame: 19 x 27"
image: 16 x 20" | frame: 17.5 x 21.5"
image: 22 x 28" | frame: 23.5 x 28.5"
Tom Maakestad "Mississippi River Barges"
Tom Maakestad "Marine on St. Croix"
image: 14 x 11" | frame: 15.5 x 12.5"
Tom Maakestad "High Bridge in Fall"
image: 9.5 x 20.5" | frame: 11 x 22"
Tom Maakestad "Creek through the Farm"
image: 18 x 24" | frame: 19.5 x 25.5"
Tom Maakestad "Valley Grove Church"
image: 16 x 24" | frame: 17.5 x 25.5"
Tom Maakestad "Above the Farm"
image: 12 x 24" | frame: 13.5 x 25.5"
Tom Maakestad "Cannon River Farm"
Tom Maakestad "Barges at Red Wing"
image: 8 x 10" | frame: 9.5 x 11.5"
Tom Maakestad "First Spring Barge"
image: 16 x 12" | frame: 17.5 x 13.5"
Tom Maakesatd "Views to River"
image: 36 x 48" | frame: 37.5 x 49.5"
Opening Reception: Saturday, April 25, 2-5 p.m. 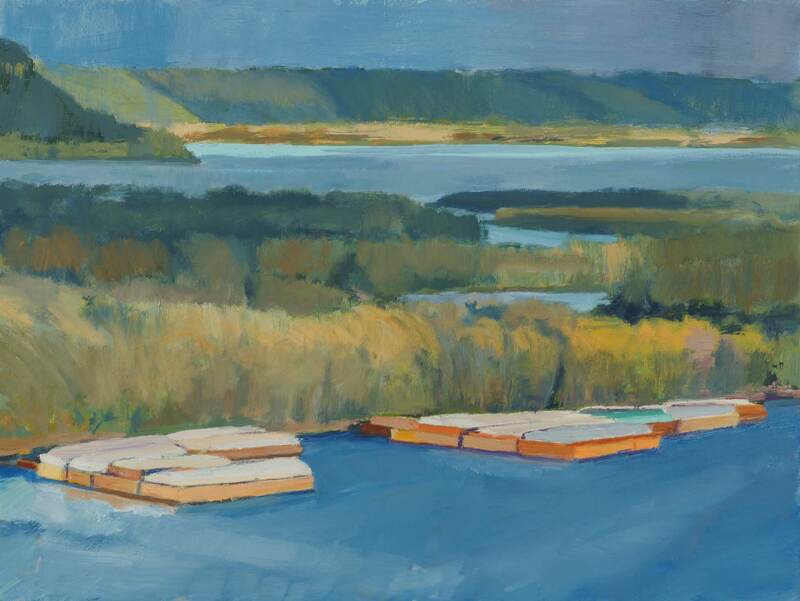 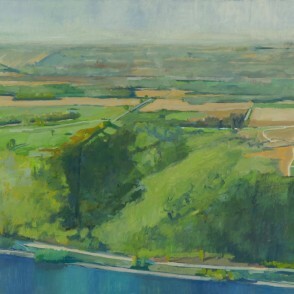 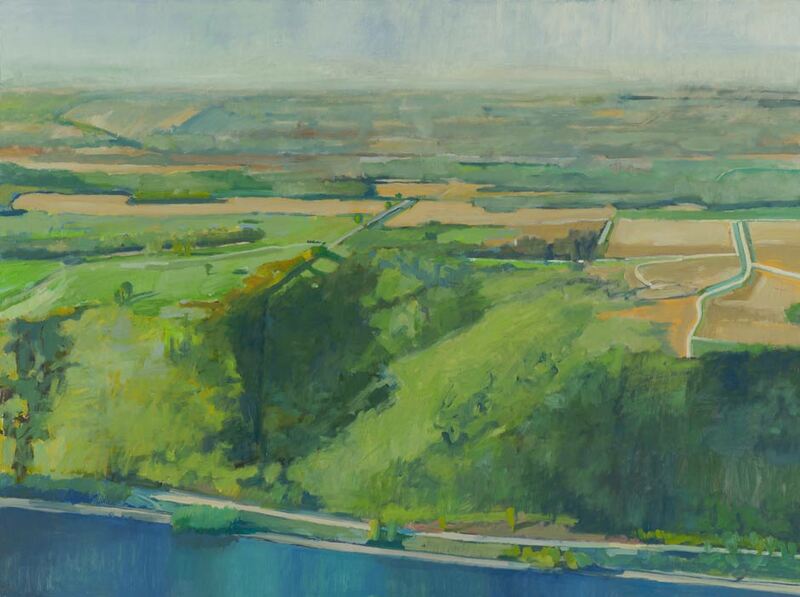 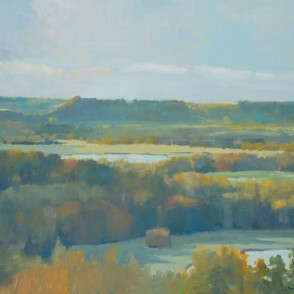 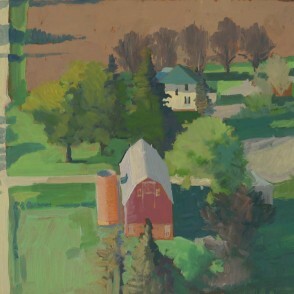 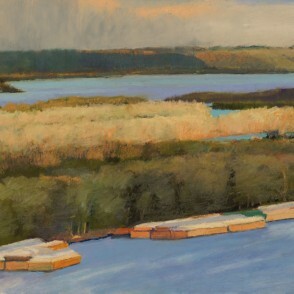 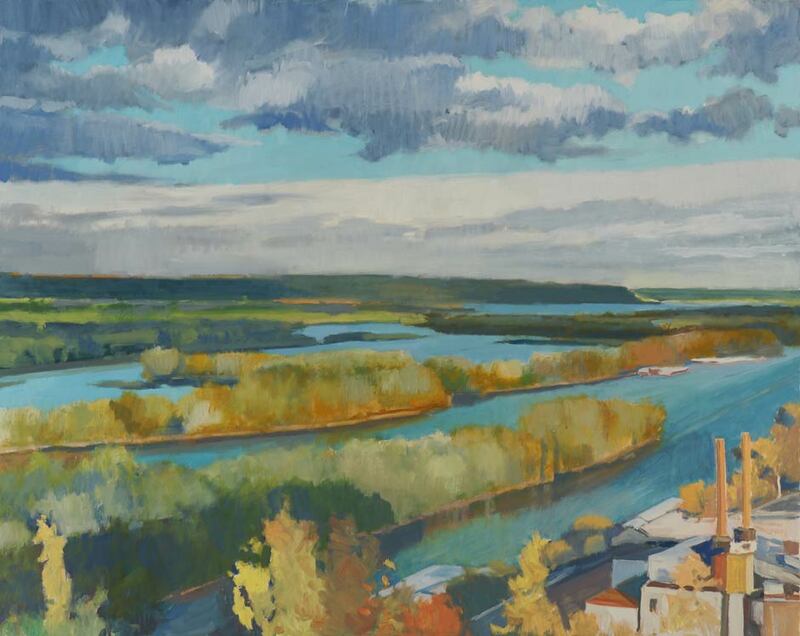 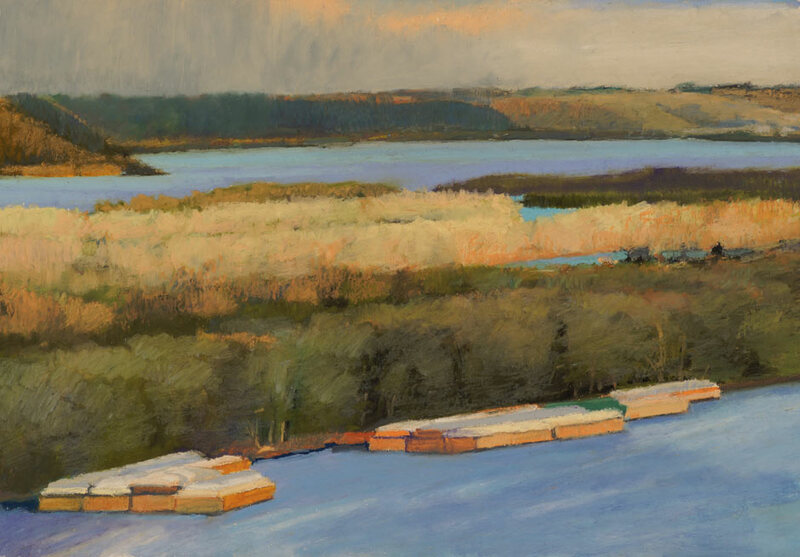 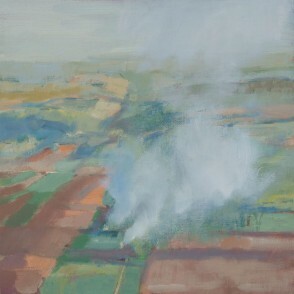 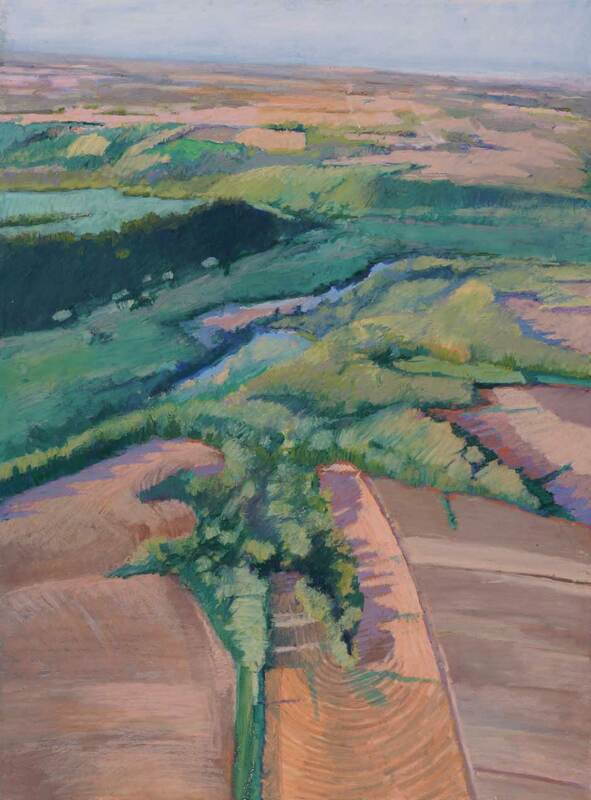 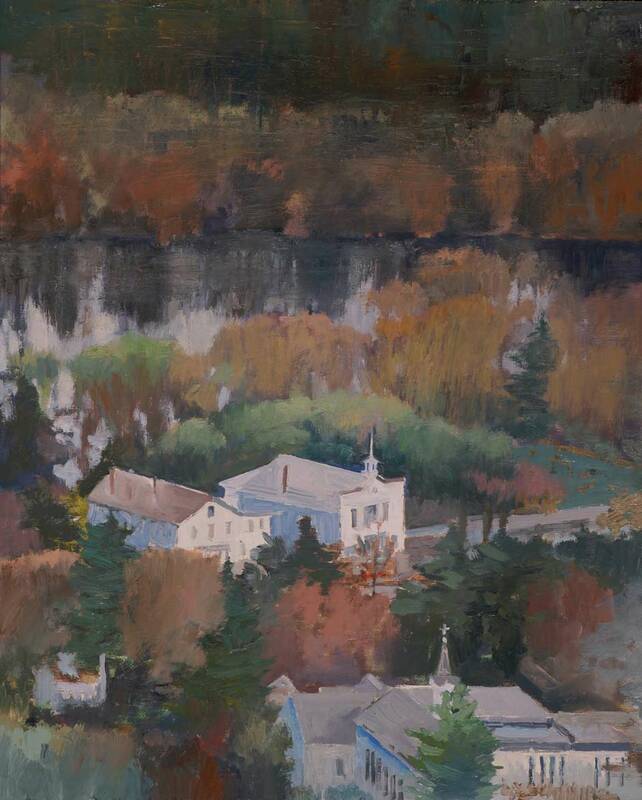 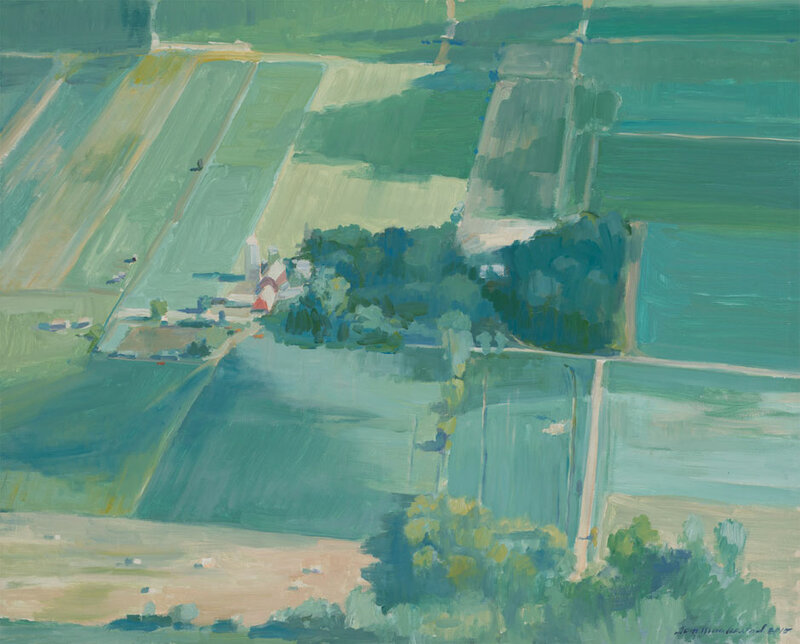 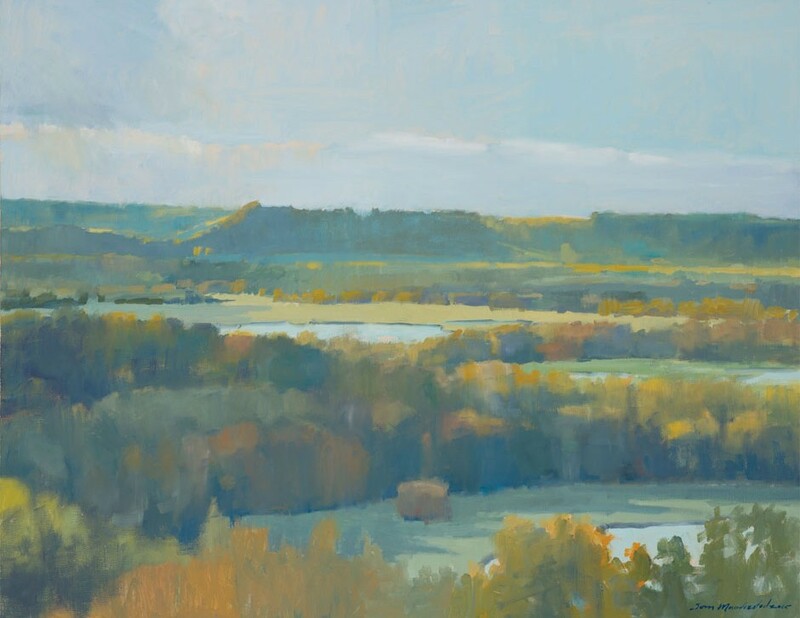 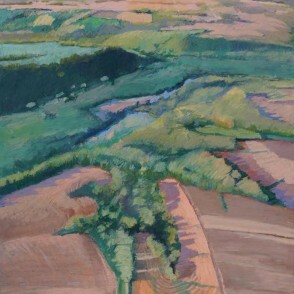 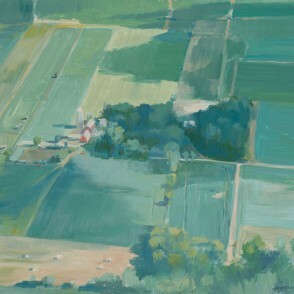 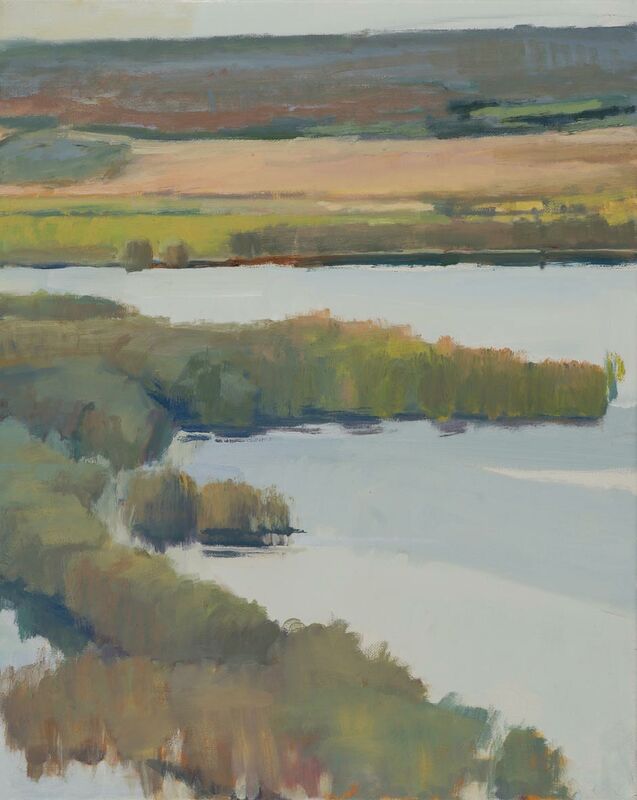 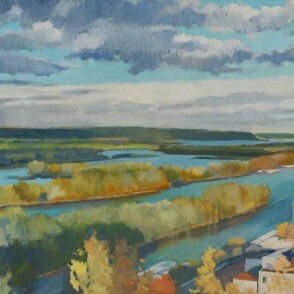 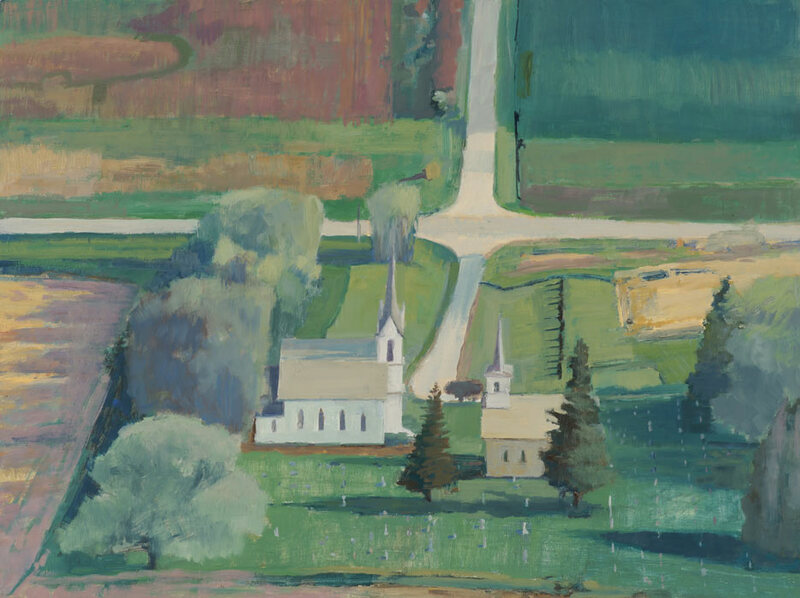 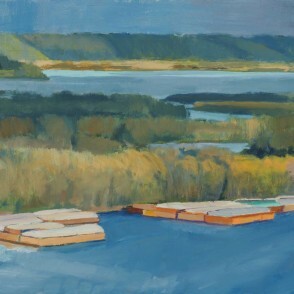 Artist Demonstration: Saturday, May 16, 1-3 p.m.
Raised in rural Northfield in a family of artists among a community of farmers, Tom Maakestad’s aesthetic is deeply rooted in the Minnesota landscape. 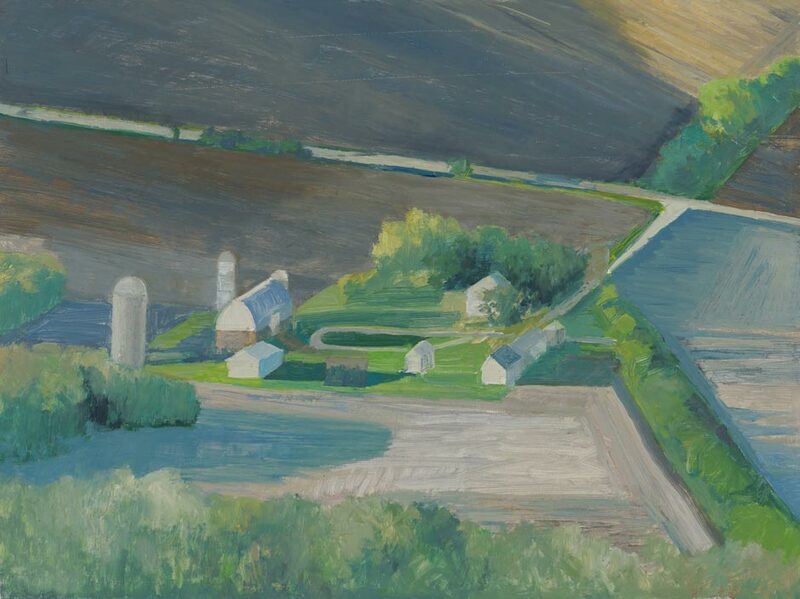 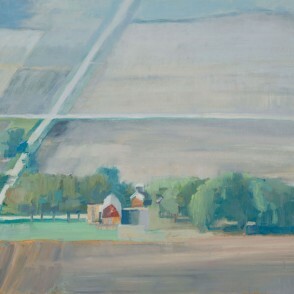 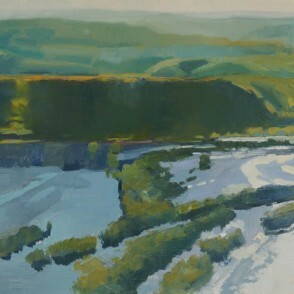 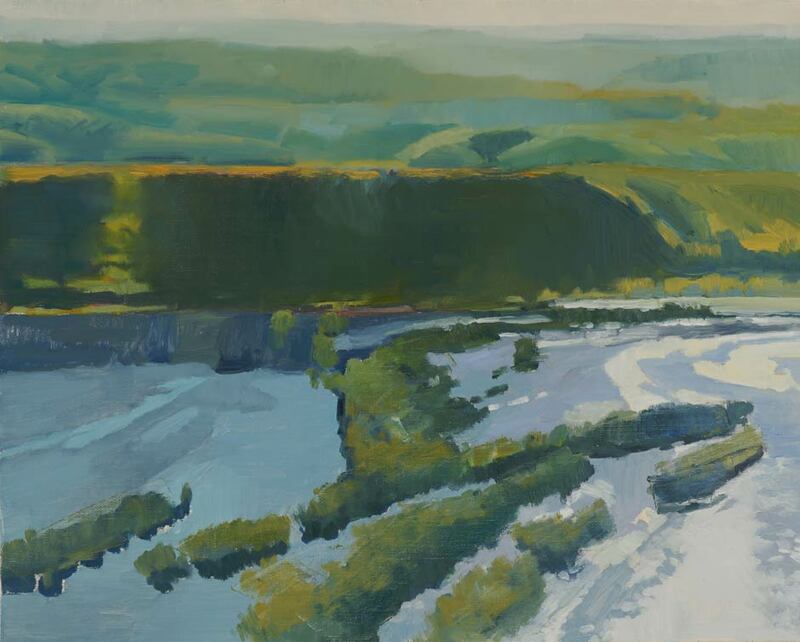 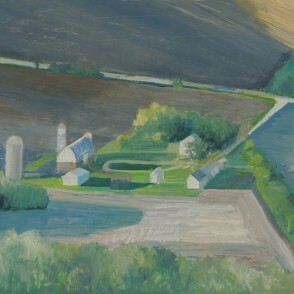 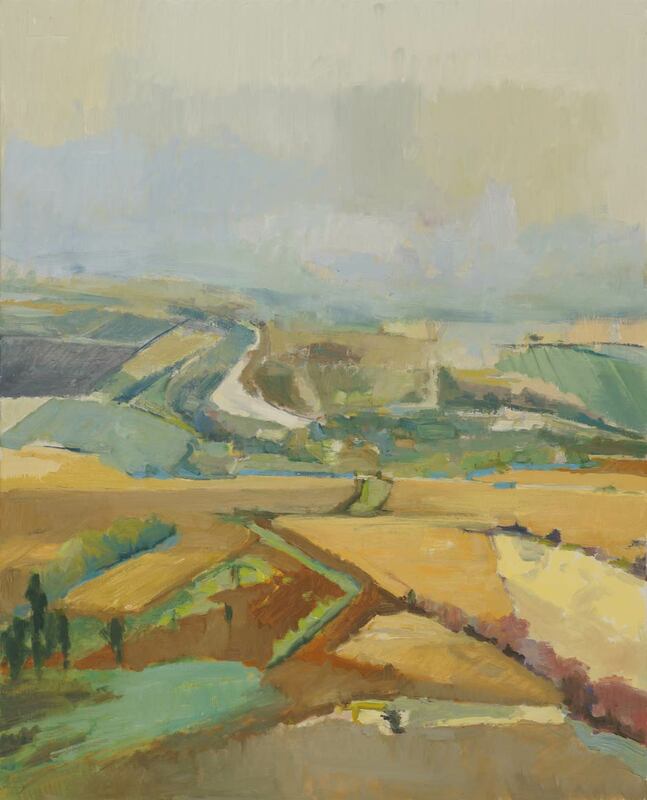 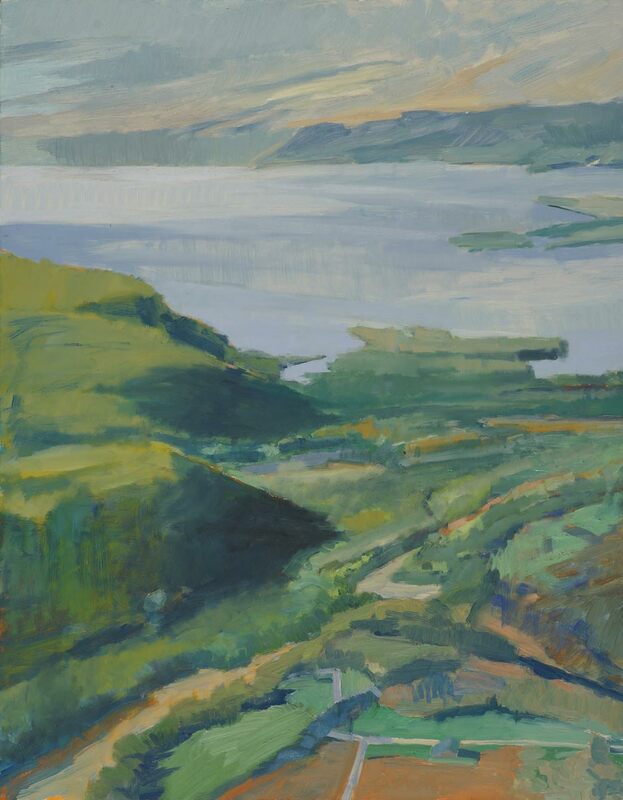 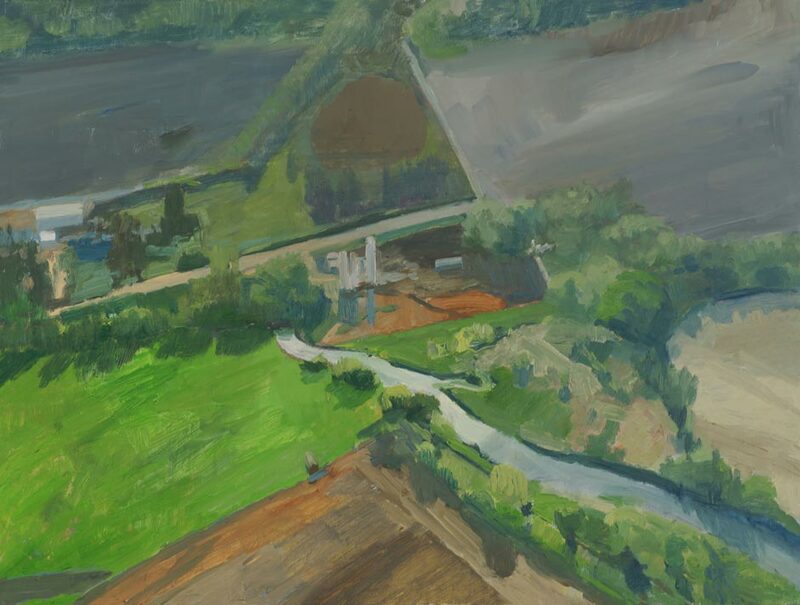 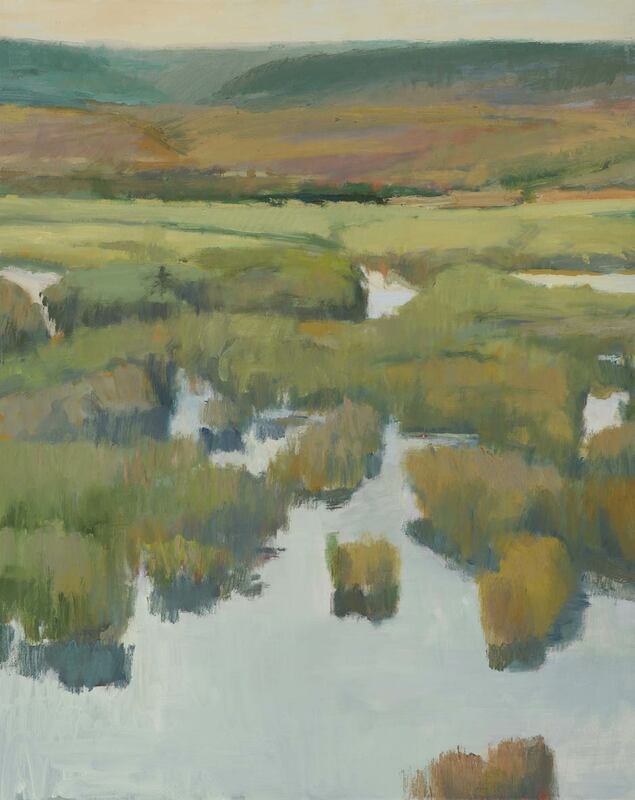 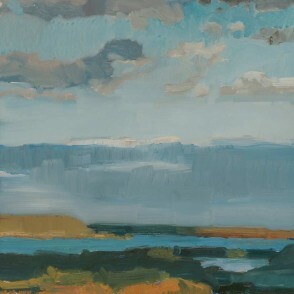 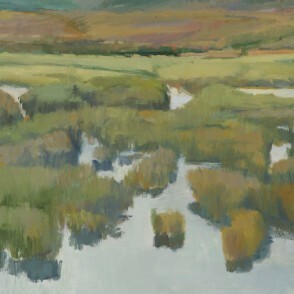 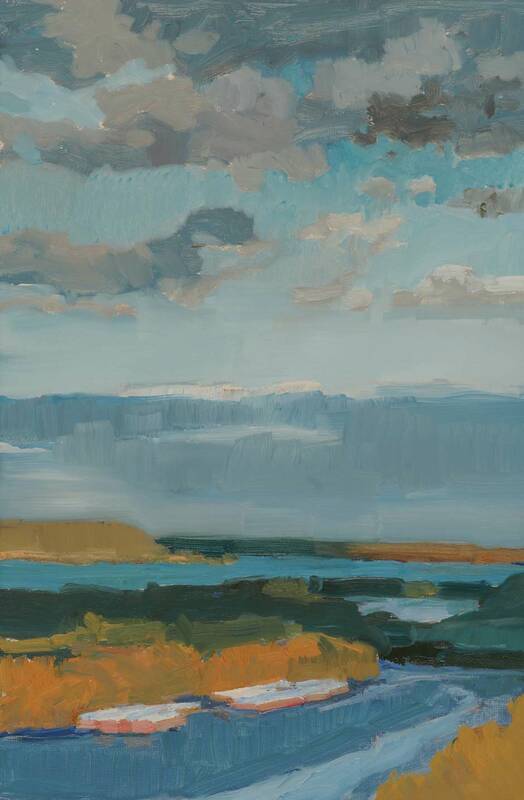 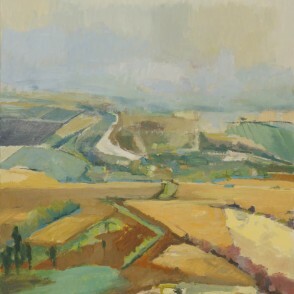 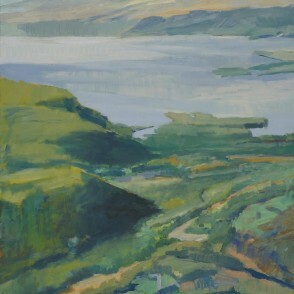 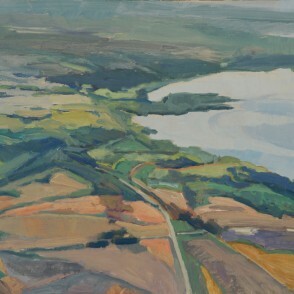 Best known for his pastel and oil paintings of rural country roads, rolling hills tilled for planting and large, atmospheric skies, Maakestad’s newest body of work re-examines traditional landscape painting. 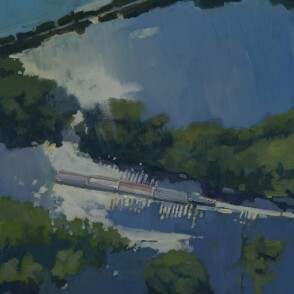 In this series, I am interested in how we have inserted ourselves in the landscape through various means of transportation, technology and industry. 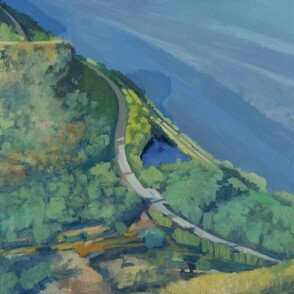 This relationship can be a tenuous one. 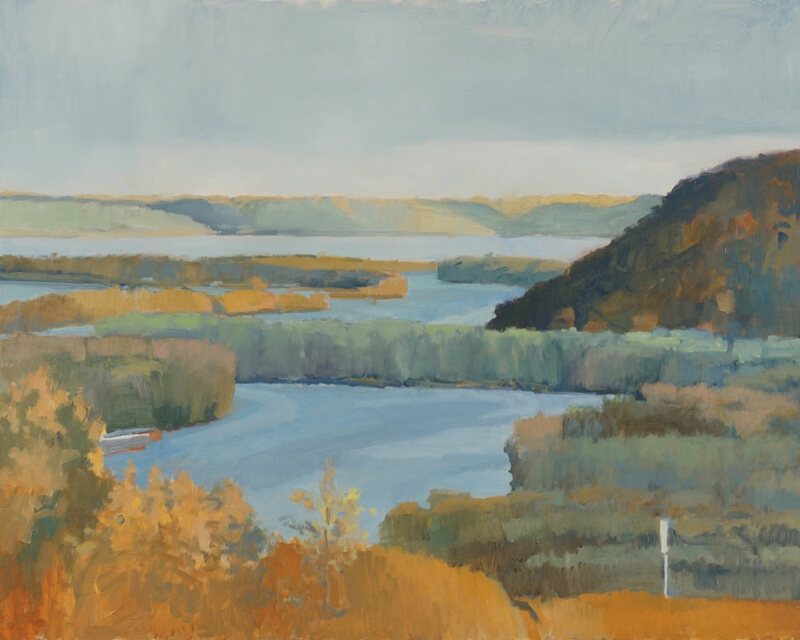 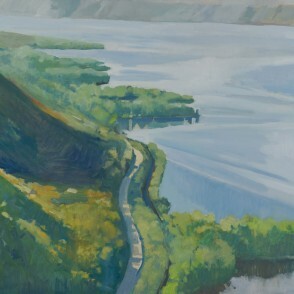 Hopefully, the viewer has cause to wonder whether this exhibition is a celebration of the Minnesota landscape or an homage to a place that will likely be very different in generations to come. 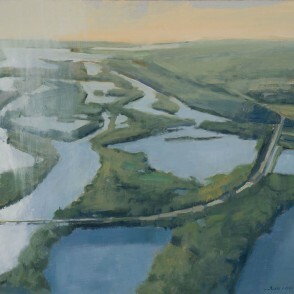 The artist will be present at the opening reception Saturday, April 25, from 2-5 p.m. 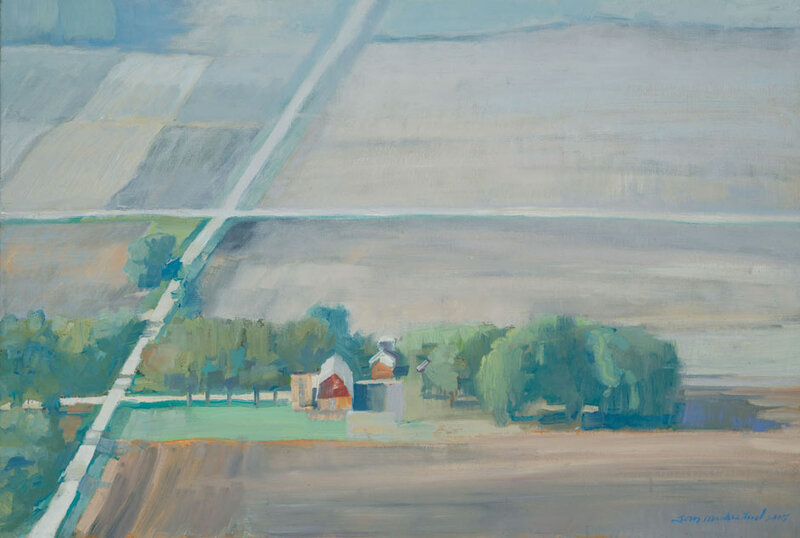 This show runs concurrently with A Sense of Place, an exhibition of new paintings Wendell Arneson in the Groveland Annex. 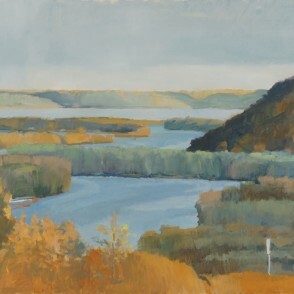 Tom Maakestad is a fiscal year 2014 recipient of an Artist Initiative Grant from the Minnesota State Arts Board.This activity is made possible by the voters of Minnesota through a grant from the Minnesota State Arts Board thanks to a legislative appropriate from the Arts and Cultural Heritage Fund. 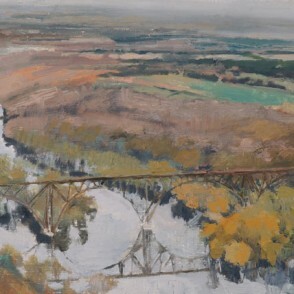 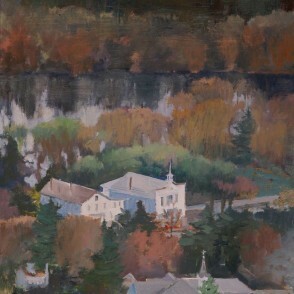 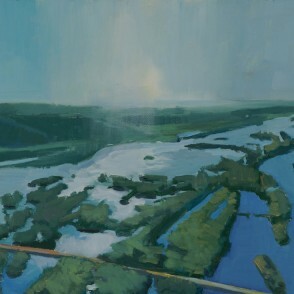 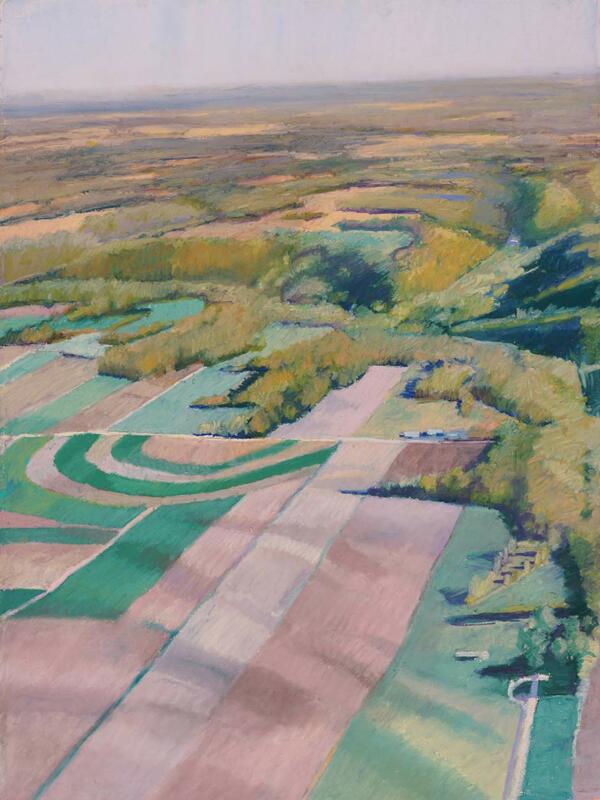 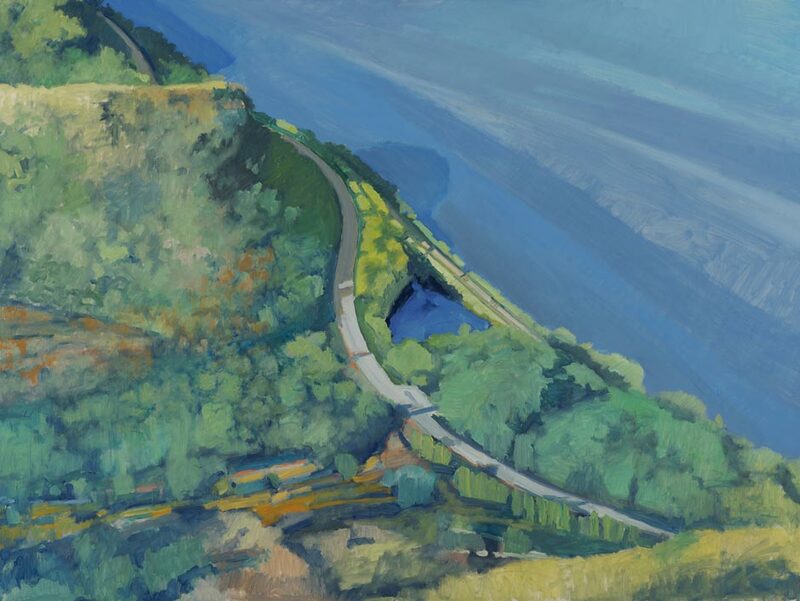 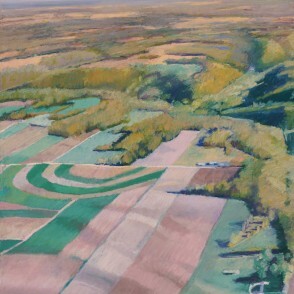 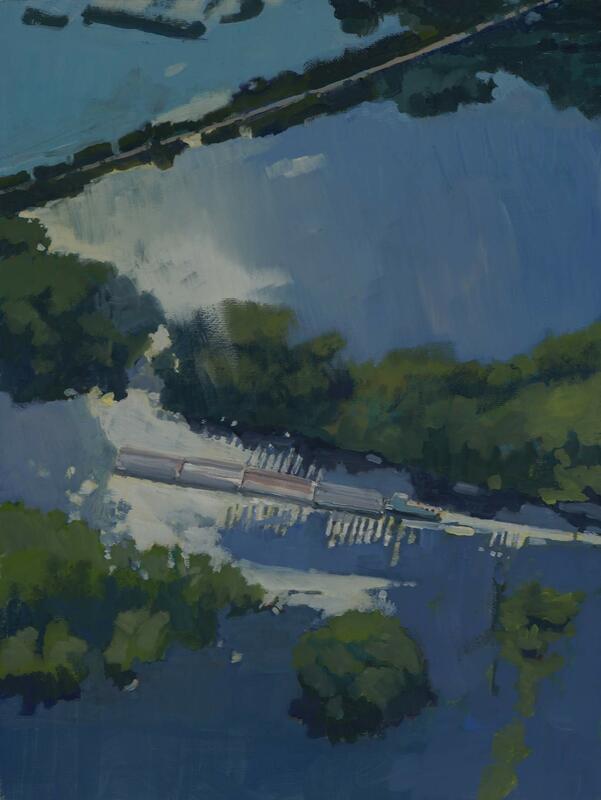 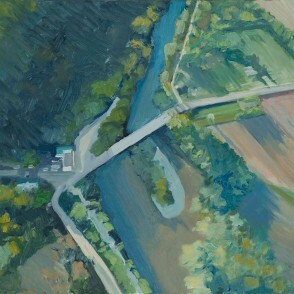 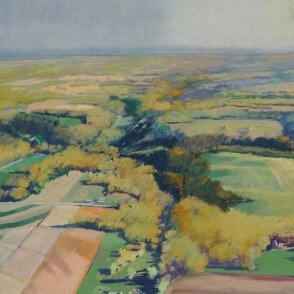 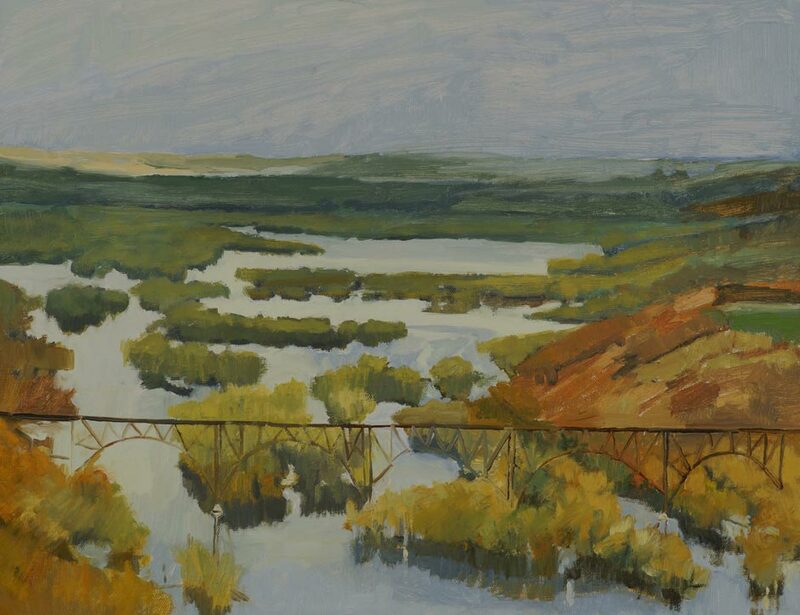 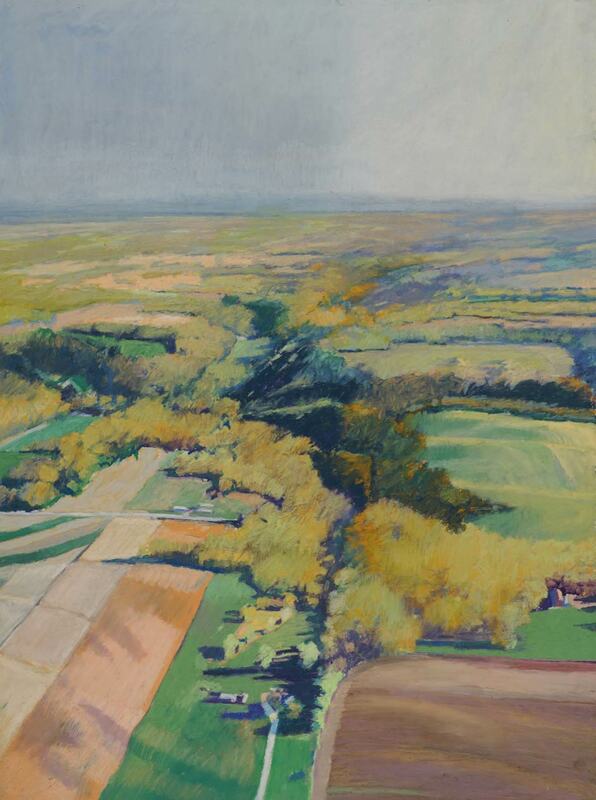 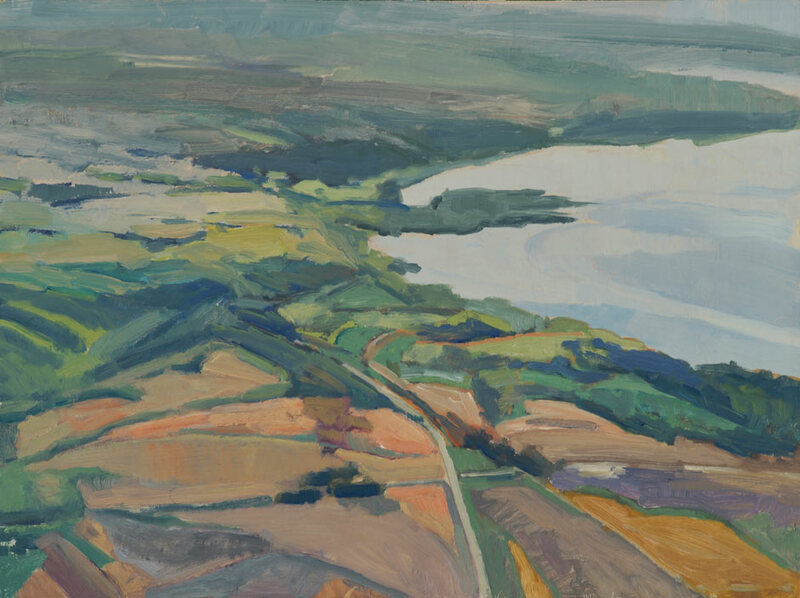 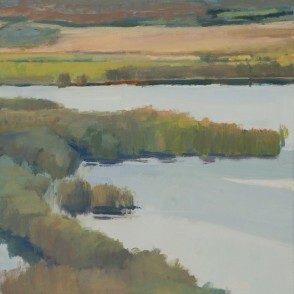 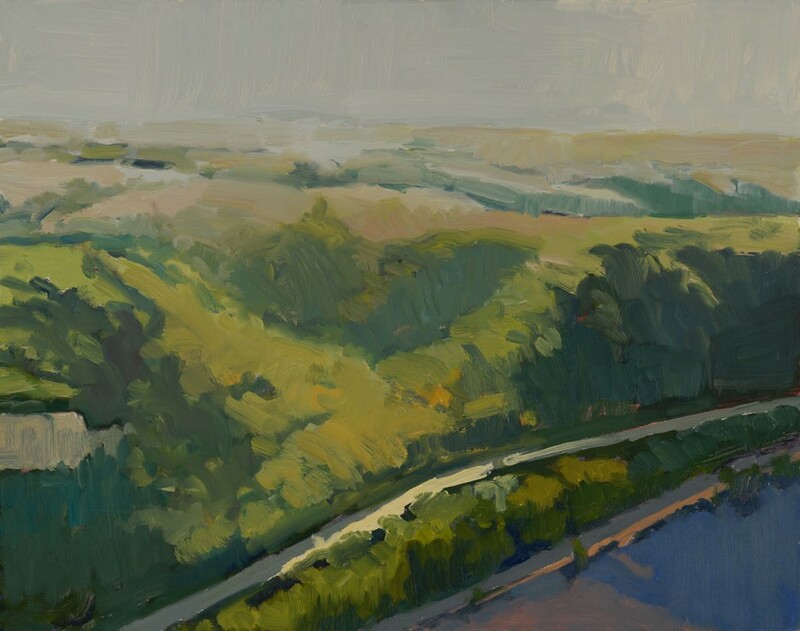 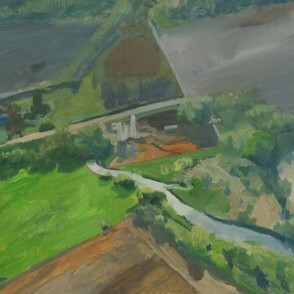 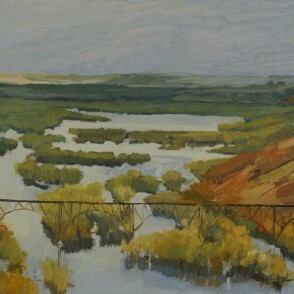 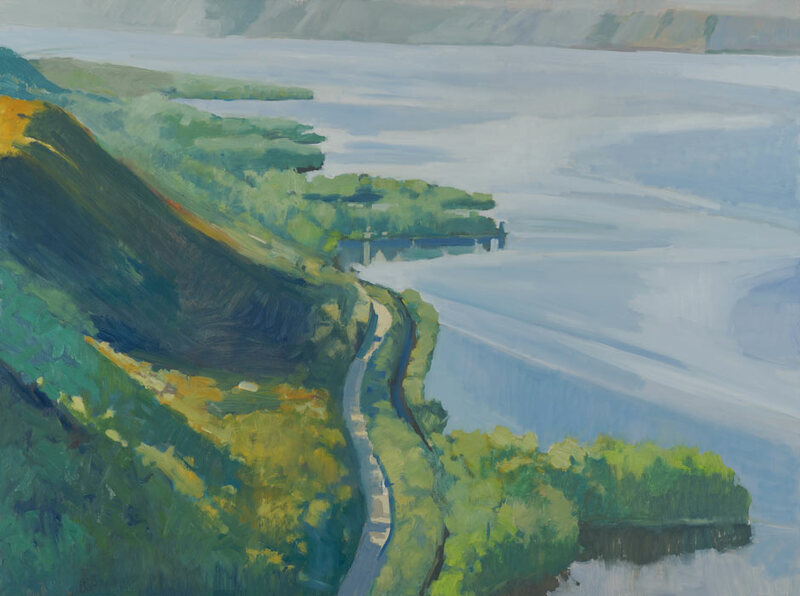 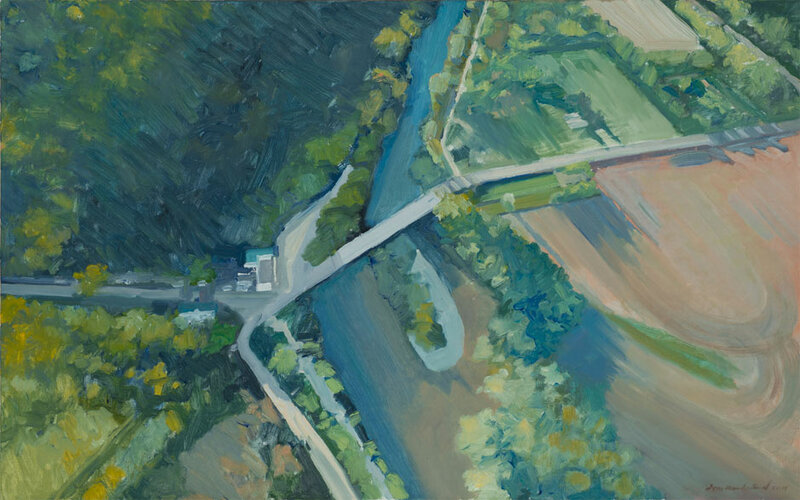 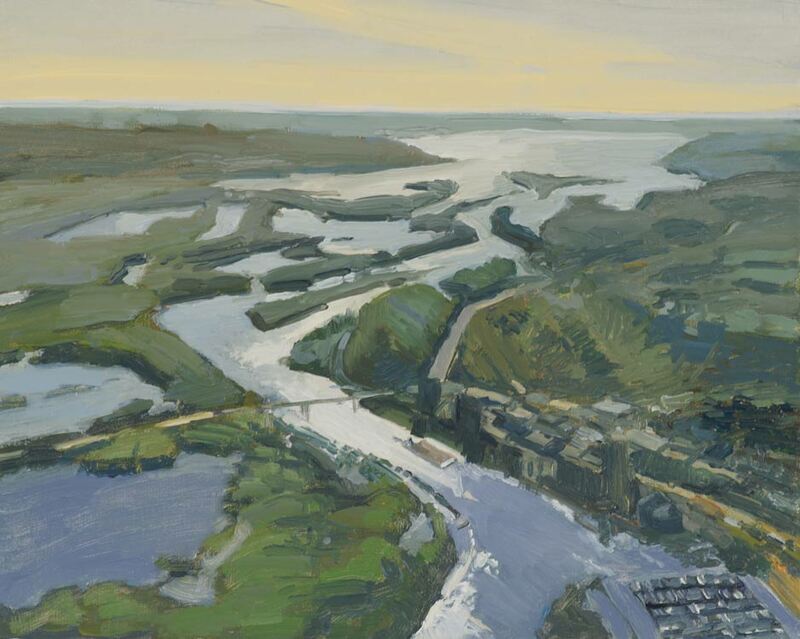 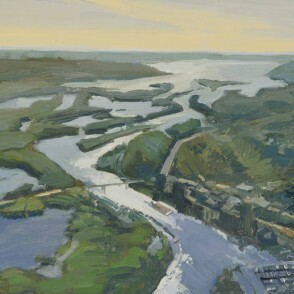 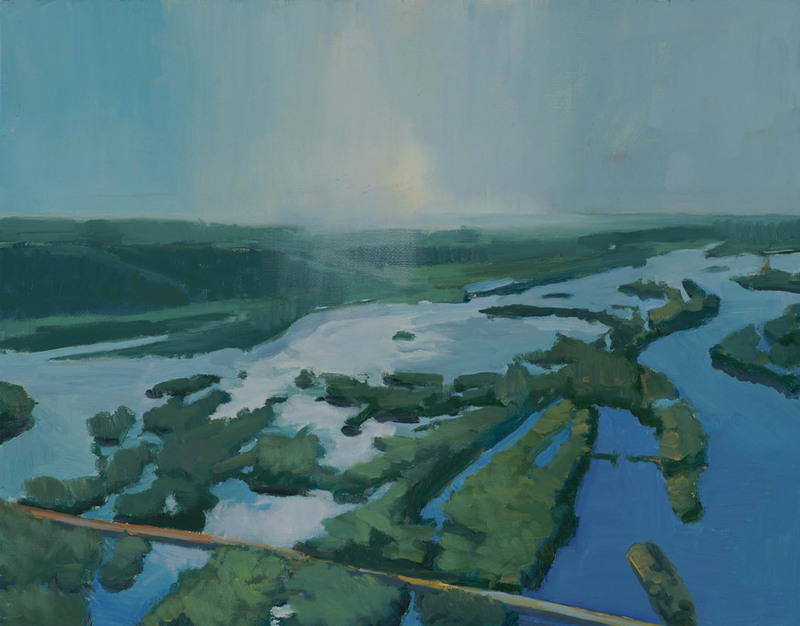 PleinAir Magazine interviews Tom Maakestad about his Groveland Gallery show,The Long View, a series of aerial landscape paintings. 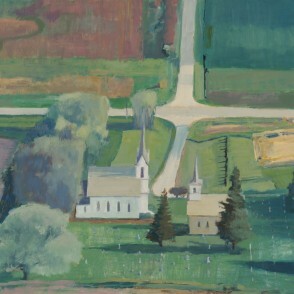 View the article here.